For far too many people, the kitchen essentials that they are willing to invest in include only the items they find themselves cooking with on a daily basis. A set of knives befitting of a classically trained sushi itamae, pots and pans lifted directly from the kitchens of Noma or The Ledbury and bank-breaking white goods are all worth the money. On the other hand, kitchen seating too often takes a backseat – pardon the pun – to the furnishings and utensils directly associated with the room’s primary purpose. While investing in beautiful kitchen furnishings may have been unnecessary in the past, today’s kitchens are far from simple food preparation areas. 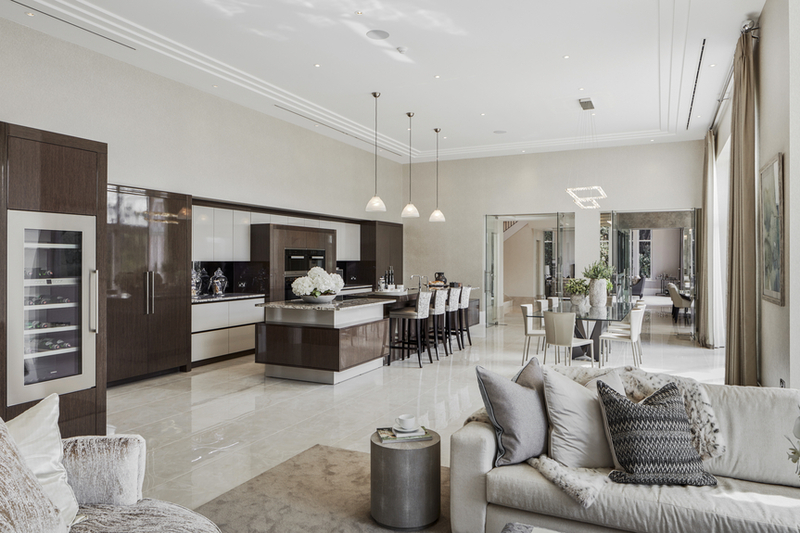 Modern kitchens play the role of dining rooms, amateur wine bars, children’s play areas and entertainment hubs. The kitchen is a place to live, laugh and enjoy life with loved ones – a veritable heart of the home. If there is any room in the home that should be telling your story through every one of its furnishings and decorations; it is the kitchen. Of course, this means that even the seating, that aspect of kitchen design often left playing second fiddle to amazing Wolf ovens and grand SubZero refrigerators, must be considered with the highest regard. As with anything in the home, there are a number of options to choose from when it comes to picking out your seats. You’ll have more than enough choices of seating to fill almost any space with gorgeous furnishings that truly exemplify your style and story. As with the majority of kitchen decoration and furnishing decisions, you’ll want to have your chairs running in line with the scheme of the kitchen. To decorate well, you must first know your kitchen. Is it traditional and rustic, brimming with exposed beams, cast iron stoves and fresh game meats? Perhaps it’s a sharply modern monochrome futurescape, or even an abrasive and industrial room that luxuriates in its rough-around-the-edges appearance. Whatever the case may be, the seating you choose must conform with and complement the room as much as possible. One surefire way to ensure that seating doesn’t look out of place in your kitchen is to choose chairs made from the best material for the room. Whether through colour or texture, materials have a huge impact on the overarching look and feel of any space. For that distinguished, clinically modern look, bright whites, matte blacks and well-defined stainless steel accents in the seating carry over to provide an extra sleek touch to any room. For a more traditional feel, the obvious choice for any seating will be wood. Mix and match with both light and dark woods to provide characterful depth to your kitchen, without drawing too much attention to the differences in the furniture. Combination shouldn’t stop with material alone; in fact, combining seating from drastically different schools of designs can do wonders for the overall tone of the kitchen. As seen with this Eames stool, blending the rustic with the modern often leads to utterly fantastic, truly eye-catching designs that can complement contemporary and traditional kitchens. While mixing up and introducing conflicting designs can introduce a highly unique feel to the kitchen, the safest options are sometimes for the best. Choosing a chair that perfectly fits into the overarching style of the kitchen may feel uninventive at first glance, but look beyond that and it can act as an utterly outstanding addition to your kitchen. ‘Safe’ doesn’t have to mean ‘boring’. Bringing in elements that are, perhaps, a little more obvious can often serve to add a touch of uniformity that amplifies the overall theme of the room. The stool is a longstanding staple of kitchen seating. As they are the quintessential kitchen seat, you’ll never be short of options when choosing one for your kitchen. Stools can add a pop of vibrant character to more muted kitchens and are a great addition to almost any modern kitchen. For the modernist, a sleek row of stainless steel or copper high-level stools adds a smooth, highly contemporary flow to the room. 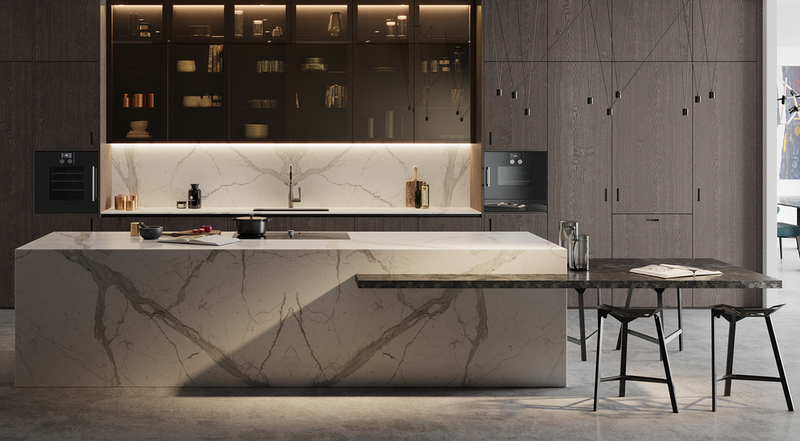 Pair them with an eye-catching kitchen island that incorporates luxury materials such as marble for a truly high-end modern aesthetic. Cutting-edge stools positioned around a luxurious island will not only look great, but also provide ample room for socialising with friends as a contemporary cocktail bar or for simply bringing the family together for breakfast, lunch and dinner. Stools are often associated with modern, sleek kitchens, but that doesn’t have to be the case. Reclaimed wooden bar stools positioned along a more industrial worktop are great for introducing some brash character to your kitchen. Combine these stools with exposed brickwork and unique filament lighting to add a beautiful, if less clean-cut, touch to the room. If stools don’t do enough for you and you’re intending on spending even more time in your kitchen, then introduce some built-in seating. In using a booth or banquette, you can create a beautifully unique area of the kitchen to relax in with your family, entertain guests while cooking for your next dinner party, or simply somewhere in which you can nestle down and relax with a good book. Built in seating will open up a world of untapped relaxation in almost any kitchen and can be adjusted to conform with just about any theme. Traditionally upholstered designs are perfect for those kitchens with a more rustic, country feel. 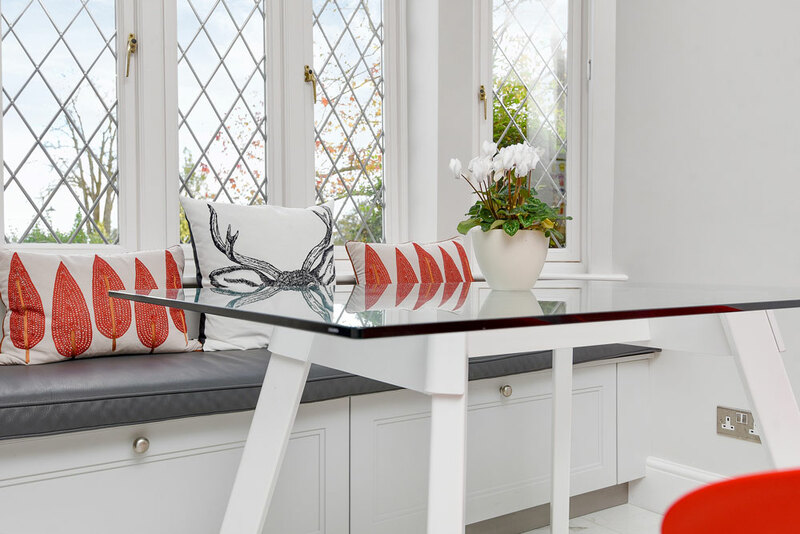 Pastel furnishings or even muted floral designs look great in a more traditional kitchen, while in a modern kitchen, you may find that opting for contemporary banquette seating is the way forward. Introduce low tables to any built-in seating area for a sleek, comfortable touch that makes for a gorgeous breakfast area. If you’d rather have more intimate built in seating, leave the walls and windows and install a booth in a large kitchen island. This unique design choice is suited for larger kitchens and makes for a unique, attention-grabbing breakfast area incorporated into an amazing kitchen centrepiece. Over the years, walls have come down and spaces have opened up. Today it’s far from uncommon to see kitchen and dining rooms melding into one space. As such, you should focus on introducing seating that lends itself to a consistent theme that runs through both the cooking and eating areas of your kitchen. Despite this openness between the two spaces, it is still possible to separate the room into distinct zones. Sleek kitchen stools can run parallel to equally sharp dining chairs – two well-defined spaces united through attractive, cutting-edge seating. Position these chairs around a table that further complements the overall feeling of the room and you’ll have created a spectacular kitchen. There are almost limitless options when it comes to dining chair options, with countless styles, designs and materials available for you to use and incorporate into your kitchen. 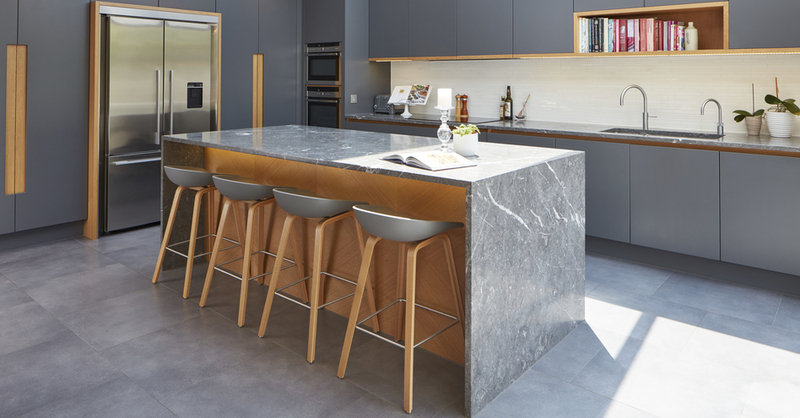 Using the advice we’ve laid out above, we’ve no doubt that you’ll be equipped with the knowledge required to use seating to perfectly accentuate any kitchen. For advice on the kind of seating that would be perfect for your kitchen, visit an Extreme Design studio today. Our design team are highly experienced in building kitchens that capture the essence of your personal style and story, down to the very finest details.